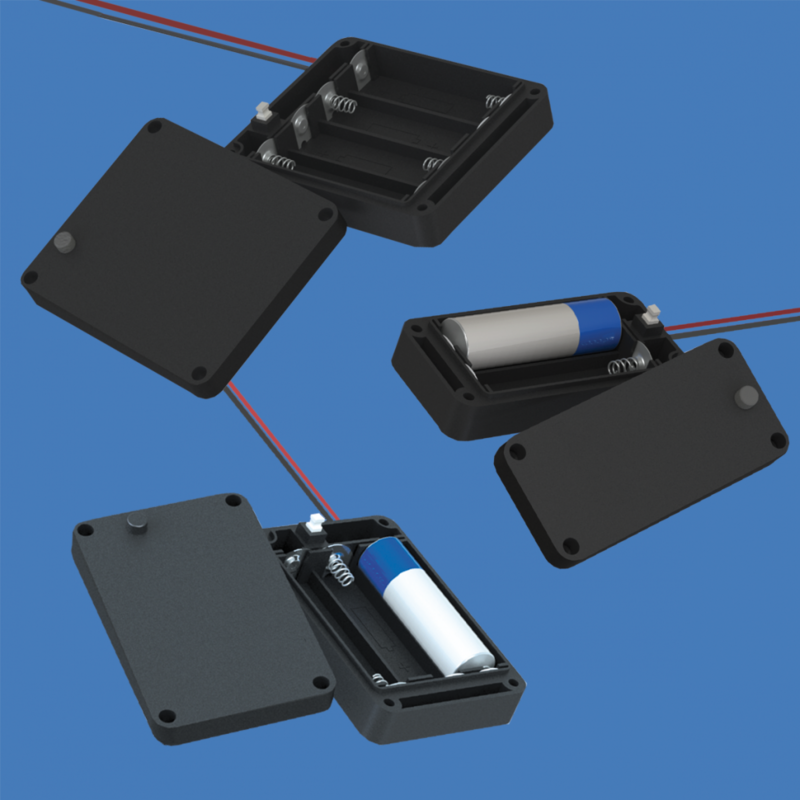 Engineered with sealing gasket to provide a watertight compartment for AA batteries, these self contained battery enclosures are IP65 rated for water, dust and other harsh environments. Manufactured for increased durability from molded ABS, the contacts are nickel plated spring steel. Included in these enclosures are 6″ long #26 AWG pre-tinned wire leads for simplified installation and a built in, sealed, on-off switch for additional product security. Keystone’s new waterproof battery holders are available in configurations to accommodate 2 AA cells (p/n 2438), 3 AA Cells (p/n 2439) or 4 AA Cells (p/n 2440). Want to know more about Keystone Electronics Densi-Pak Covered Battery Holders? Check the product page.